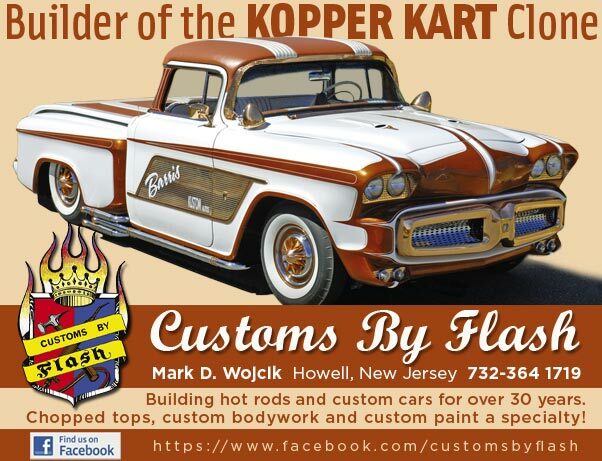 The third issue of Rod & Custom Magazine, July 1953, had the very first Barris Korner article. George Barris was asked the Purpose of Automobile Restyling. In the last couple of days, after George Barris passed away, I have spend some time re-reading some of the older published articles I have about George Barris and the Barris Shop in general. Material from the late 1940’s and early 1950’s publications. The time when Custom Restyling was still fresh, and styled were still developing and each custom that rolled out of a shop was completely unique. 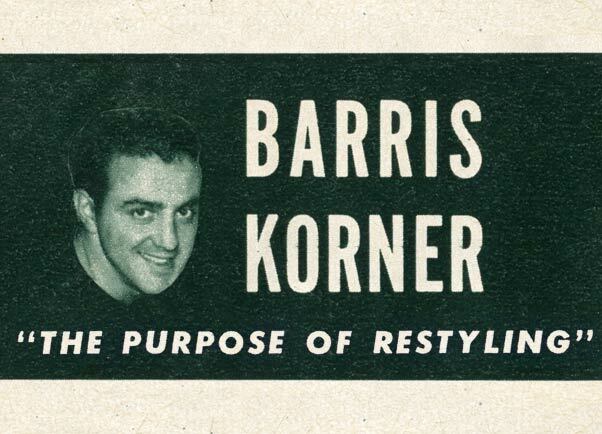 One of these articles I came across was the very first Barris Korner George Barris published. It was the third ever issue of Rod & Custom Magazine in which this two page article appeared. In the years after this the Barris Corner would come back many times discussing various Custom techniques and ideas. This very first Barris Korner article covered the interesting question; what is the purpose of automobile restyling? An interesting read. From the July 1953 Rod 7 Custom Magazine. Wouldn’t you like to won as acar that is toatally different from that of Mr. Average Public? Wouldn’t you like to have a car that would express your own personal individualities? All of this can be made possible by restyling providing, of course, that it is done properly and in good taste. Any make of Amercican car can be successfully restyled. Here are a few pointers that may help you if and when you decided to restyle your car. 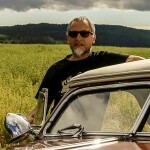 To the professional automotive custom builder there are three classes of styling. There are, however, complications which can, and often do, arise when attempting to restyle correctly. These complications lie in the creating of ideas, proper proportioning, correct balancing and a careful selection of color schemes. The conservative technique consist of moderately altering the appearance of a stock production car. Changes may include molding the hood; the deck lid; minor grille and taillight changes; the removal of excessive chrome trim, ornaments and medallions; and moderate under-carriage aleterations. The last item would be lowering the chassis by the use of loweing blocks, or longer spring shackles, and possibly, C-ing the frame for addiional axle clearance. The radical design concists of body sectioning; complete undercarriage channeling; reformation of body, fenders and grille components; and chopping, or otherwise altering, either steel or convertible tops. Complete custom body building is the construction of a car from the ground up. Starting from scratch, as it were. Now, let’s briefly summarize the problems that may arise in proportioning an automobile. Proportioning is the relative magnitude and the quantity of placed accessories. For example; parts transferred from one car to another can disrupt your complete restyle system. Bob Hirohata’s restyled 1951 Mercury sedan is a good example of proper parts transference. It may be seen in the accopanying photograph that the distinctive side chrome trim of this car is taken from a late model Buick. Designing should be designated close to proportions. Excessive designing in the proportioning of a restyled car may lead to gaudiness the result of which we refer to as “Gook Wagons”. Balancing is the calculation of distance between the reformed body sections and the chrome dividing line. This also can include the vertical height of a chopped top. Creative ideas can be best expressed by the improvment of grilles, by frenching head and taillights and by reworking body and top somponents. Tom Thornburg’s 1947 Studebaker convertible is a good example of creatice thinking regarding headlights. The headlights have been frenched in such a manner that there is now a two inch shade extending over the top of the light unit. The matching hood also blends nicely with the redesigned grille. A new twist along these same lines is the installation of frenched airscoops which provide air for rear wheel brakes. These scoops can be accentuated with appealing special designed grille bars. 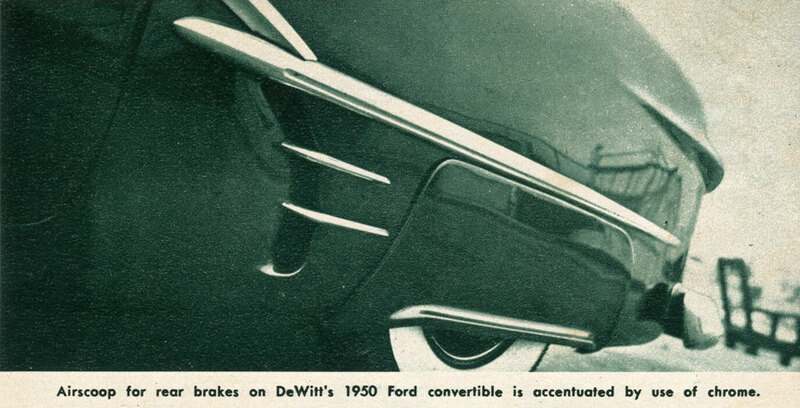 Chuck DeWitt’s 1950 Ford shows an unique example of a frenched air scoop followed by a developed design chrome line and divided top section and special grille bars. Color schemes should be worked in conjunction with upholstey combinations. Original, simple chromatic, transparent metallic lacquer paint sprayed on especially colored underbases impresses glamorous, glittering colors. Hirohata’s Mercury, again, is a good example of this. The chrome side strip is the breaking point for the matching two tone color combination. The top is Ice Green while the bottom is an organic dark green. Tom Thornburg’s Stydebaker is Sea Foam Blue and has a striking Royal blue metallic shade inlayed between the chrome dividing line. The chopped Carson top is also covered in a blue sport material. By keeping these suggestions in mind when you start restyling your car, many unwarranted difficulties can be side-stepped. George was an artist, designer and architect in the true tradition.